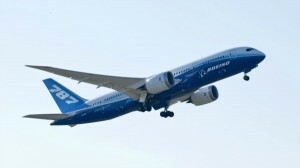 The American FAA has allowed Boeing to carry out test flights of 787 Dreamliner planes. The entire fleet of 787s was grounded last month after a battery on one plane caught fire, while a malfunction forced another to make an emergency landing. The FAA said the test flights will help collect data about battery performance ‘while the aircraft is airborne’, monitoring battery activity at every stage of flight. In addition to the FAA’s root cause analysis, the FAA is conducting a comprehensive review of the 787’s critical systems, including the aircraft’s design, manufacture and assembly. The FAA stated the flights will be conducted in defined airspace over unpopulated areas.